We have selected All Rounder to provide us with our kit for the upcoming season. Those of you that attended the launch night last Thursday will have seen that there is a massive range to chose from and it all looks really smart. All training gear comes with option to have your initials embroidered in. 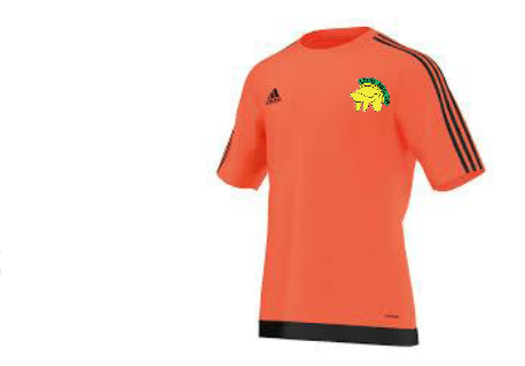 The most important point to note is that the men’s home shirt is now orange for next year. Every person within the club has been allocated an individual shirt number that will be theirs for the season regardless of what team they end up in. There is a link to a spreadsheet with each players number. Please make sure you select the number that is next to your man when ordering the home shirt! If you fail to do this, you will need to buy another shirt! For men it is necessary to purchase a new orange shirt for the 2016/17 season, there will not be any team shirts available. The ladies section mostly have orange shirts but feel free to purchase the new style as and when required. For juniors we will supply match day shirts but once again feel free to purchase the new design if you wish. Obviously the training kit and non match days shirts can be purchased by all! From here you can pick all of the kit you want. All Rounder Hockey would be delighted if people go to store during opening hours to try on ‘non-Leeds Adel HC’ kit for size. There is also an option online for individuals to ‘collect from store’ so they don’t have to pay postage etc. The Adidas sizing is fairly small so I would advise trying on before ordering at All Rounder Hockey – Headingley. The sizes available in the junior store are all VAT-free(with the exception of the junior hoody in adult sizes) and go up to 12YR-YL. Anything bigger needs to be purchased in the senior store and will attract VAT. Leeds Adel HC members get 5% off all other equipment purchased instore (this doesn’t include teamwear). PLEASE CHECK THE LINK TO THE SPREADSHEET WHICH SHOWS YOUR ALLOCATED CLUB NUMBER NEXT TO YOUR NAME. IF YOU FAIL TO SELECT THE CORRECT NUMBER FOR THE BACK OF YOUR SHIRT, YOU WILL HAVE TO BUY A NEW SHIRT. new kit is available for my son James Cage. Have not fitted him out yet but need to get some kit for next year. The announcement is imminent, maybe even as soon as this week! Keep an eye on the website for the details.